Readers of Ephemeral New York have probably figured out that the Gilded Age is one of my favorite periods in the city’s history. In the decades after the Civil War, Gotham was on the rise, transforming from a small-scale city lit by gas and powered by horses into a mighty metropolis of skyscrapers, subways, blazing electric light, and rapid social change. 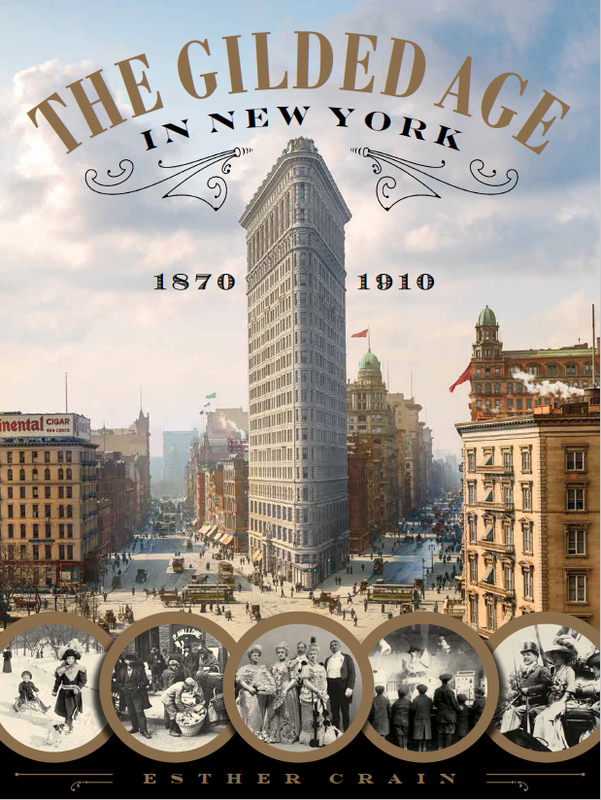 I’m so thrilled to announce that on September 27, 2016, a second Ephemeral New York–authored book on the Gilded Age will hit store shelves. The Gilded Age in New York, 1870-1910 (published by Black Dog & Leventhal/Hachette) takes a deeper dive into this fascinating era, exploring what day-to-day life was like in an age of posh Fifth Avenue mansions and crowded tenements; of deep political corruption and a widening gap between rich and poor. In the coming weeks I’ll be featuring some of the text and incredible images from the book on the blog and on social media. The book itself is now available on various book sites. Thank you to everyone who enjoys reading Ephemeral New York as much as I love researching and writing every post. It’s been a complete pleasure to produce the site for all these years, and I’m so grateful to have so many gracious and insightful readers. Thank you! I hope you enjoy it the way I enjoyed writing it. You are a New York treasure yourself. We’d know so little of our history without you. Thank you, whomever you are. We are all indebted to you. Wow, thank you! I love researching and writing the stories on this site, and I appreciate your kind words. The amazon.com “Look Inside” for this book displays pages of an entirely different book, a book of antique household objects for collectors! Perhaps you as the author should tell Amazon to correct this. As it is, although I’m sure the book is every bit as amazing as people say, I’m hesitant to order it sight unseen.